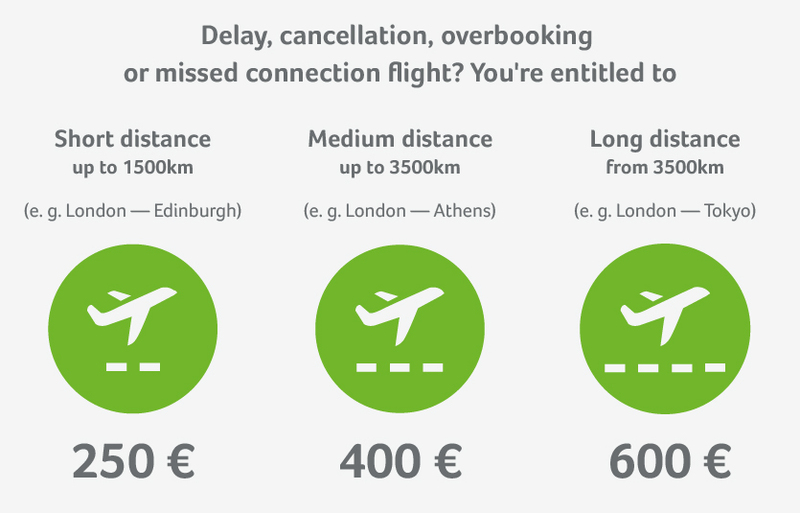 Ryanair Flights Cancelled or Delayed; Get Compensation! For further information about your passenger rights and the EU regulation. If delayed more than 5 hours you can, whatever the distance, withdraw from your flight. The airline is obliged to either reimburse you or offer you alternative transportation to your destination. If you’re unlucky enough to have your departure delayed until the following day, you are at least eligible for a stay in a hotel, as well as transport to and from the airport. Get in contact with the airline and ask them to confirm your hotel room and transfers in writing. Important: Don’t accept excuses! Vouchers for food, drinks or hotels don’t nullify the airline’s responsibility to pay your compensation. Thanks to our expertise, we enforce compensation with a very high success rate. That’s why we are able to promise a completely free service if your case is unsuccessful! Ryanair’s headquarters is located in Dublin, and it operates in over 200 airports spanning 33 countries and will transport 131 million customers this year. It has fleet of 398 Boeing aircraft, the average age of which is 5.5 years. The airline is 32 years old and is very well established as one of the world’s leading low-cost air travel options. Considering the sheer volume of flights and passengers, Ryanair did a good job of flying on time in 2016. This is most likely due to the fact that they elect to fly to a lot of smaller airports. They operate with an impressively small number of delays and cancellations, but of course their flight plans are still susceptible to disruptions. Ryanair are sadly uncooperative when issuing the compensation that their passengers are due, often falsely citing exceptional circumstances. Flightright often has to enforce these cases judicially and as such there can be long waiting times for the compensation payout. When flying with Ryanair you are able to check-in online up to 30 days prior to your flight and no later than four hours before it. It is highly recommended that you check-in online as doing it manually at the airport can lead to delays. The most efficient way to travel with this airline is by downloading their app and having the check in, boarding pass and flight updates in one location. More information about Ryanair can be found here.